Code: BS1361. 2 x 15 Amp. 2 x 20 Amp. 2 x 30 Amp. 15A 86VDC 2SMD. Fuse Board Mount. What is Shown in the Pictures is What You Will Receive. Fuse Holders (23). EATON's Bussmann Series AMG-500 High Amp Fuse. Bolt down fuse design to help withstand high vibration applications. Circuit Breakers (81). Ideal for battery and alternator cables or other heavy gauge cables requiring ultra-high current protection. 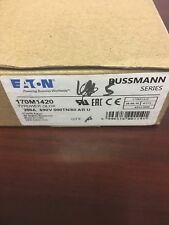 EATON 170M1420 BUSSMANN TYPOWER ZILOX 200A 690V. ONE BOX OF FIVE FUSES. EATON HEINEMANN. PUSHBUTTON CIRCUIT PROTECTOR. Resettable pushbutton circuit protector: Provides basic thermal protection. 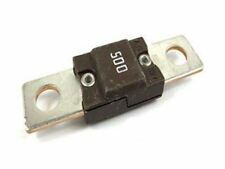 that used on conventional panel-mounted fuse holders. It can be mounted from either the front or. Quantity: 1 Fuse. Part Number: EV20-100-S.
We will work to resolve issue promptly. PICTURES ARE OF ITEM BEING SOLD. EXPULSION REFILLABLE BORIC ACID. 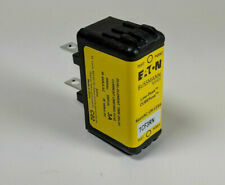 NEW EATON FUSE. 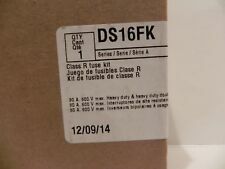 PART NUMBER 15RBA4-100E. INDOOR USE. STANDARD SPEED. LOWER INSTALLED COST. FUSE 8.25 KV, 200E AMP, MAX INT 29.4 KA SYM, STANDARD SPEED. 5.5kV / 3E A. EATON/CH FUSE. NEED YOUR ITEM FASTER ??. DRUMMOND INDUSTRIES. STK # FUS-198. Size: 1A - 5KV. Quantity: 1 Fuse. Class: RBA4. Catalog No: 25RBA4-125E. Box has shelf wear. We will work to resolve issue promptly. New as shown in the photos. Model#: 15CLPT-.5. We are here to help! Manufacturer: Eaton. The sale of this item may be subject to regulation by the Food and Drug Administration and state and local regulatory agencies. Local Pick up. Class: RBA4. Catalog No: 25RBA4-150E. Ordered to many for the job my loss is your gain. 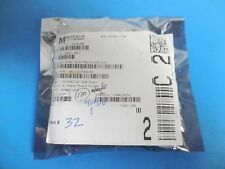 New Lot of 5 Eaton Bussman Microwave ABC Fuses 1 1/4" x 1/4" Sealed. Condition is New. Shipped with USPS First Class Package. COIL 110/120 V. NEW IN BOX. All parts contained in this item have been security marked and where applicable serial numbers noted. YOU HAVE BEEN WARNED! New in sealed box as shown in the photos. LOT OF 9 UNITS - Eaton Buss 4386 Fuse Block. Condition is New. Shipped with USPS Priority Mail. BROKEN LINE INDICATOR BLI KIT. Sale is for 1 new in box fuse. Item Title: Eaton Cooper Power 3 Phase High Current Tape Changer. Eaton Cutler Hammer 5NCLPT-2E CLPT Type Current Limiting Fuse 5.5 kv New. Last 2 sold will not come with box. Will be new. DETAILS POWER SYSTEM TYPE; 5.63 INCH; 5.5 KV VOLTAGE RATING; 0.81 INCH DIAMETER; 40000 AMPERE (SYMMETRICAL) INTERRUPTING RATING; 2 AMPERE CURRENT RATING; FERRULE TERMINAL TYPE; NO INDICATION TYPE; CURRENT LIMITING; FUSE CLASS E; NCLPT MODEL CHG 5NCLPT-2E 5.5 MAX KV CLEPT 2. 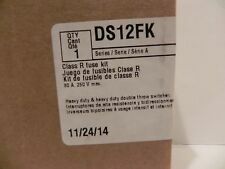 Item# 170M1370 - FUSE, 200A, 700VAC, aR, DIN43653-000 I2T=28000, W/ VISUAL INDICATOR 100mm OAL X 78mm C-C, FOOTED. All parts contained in this item have been security marked and where applicable serial numbers noted. EATON 8NCLPT 1E 8.3 MAX KV.